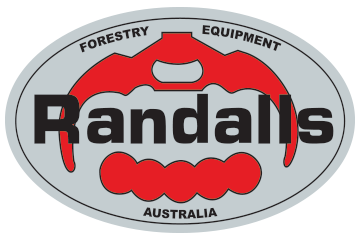 Randalls Equipment Company are manufacturers and distributors of forestry equipment & attachments since 1968. Our company manufactures a large range of Rotating Log Grapples. In 1957 A young Ken Randalls from Britain migrated to Australia after serving in the Middle East with the British Army as a corporal in the Royal engineers during World War II. Filled with energy and enthusiasm to start a new life in Australia, Ken did what he knew best and started designing and fabricating excavator buckets from a small shed in the suburb of Maidstone, Melbourne. As this business grew Ken found himself supplying buckets to equipment manufacturers such as Caterpillar who at that time were manufacturing in Tullamarine. Over time Ken was called on to design and create machines and components that would solve particular problems for contractors. Ken’s creativity and engineering genius eventually led him to manufacture Australia’s first and only Forwarder named the “Forager”. 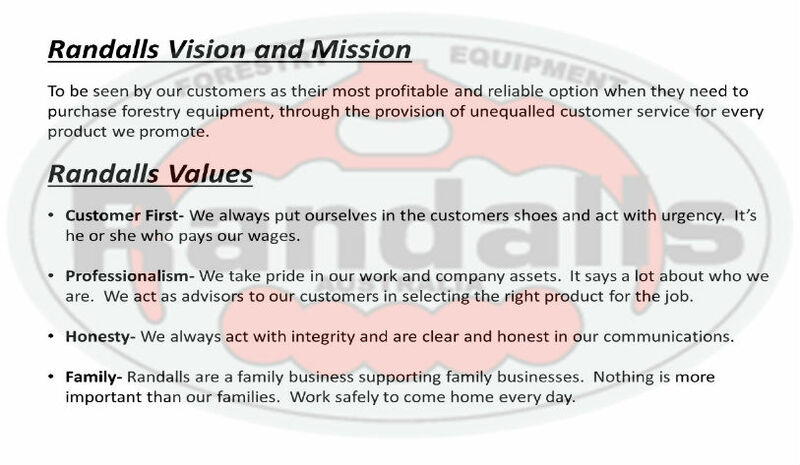 It was this that led Randalls into the Forestry business in 1967 and since then, Randalls Equipment Company have been involved in the Forestry business ever since, to the extent that it is the only industry the company now serves. Cranes were extremely useful when it came to the forestry business and in 1969 Randalls were appointed a Cranab dealer in 1969 and remain a Cranab dealer to this day. For political reasons it became impossible for Ken to continue the development of the Forwarder, so Ken then turned his focus towards other forms of log handling and began manufacturing log forks that could be fitted to wheel loaders manufactured by Cat and Komatsu. This idea was a huge success and Randalls found great demand from the tropical jungles of South East Asia as well as the domestic market in Australia. In 1982 Randalls became an Indexator dealer and maintain this today with the use of Indexator rotators in their line of rotating log grapples. Randalls break into heavy duty forestry equipment came in 1987 when they were able to secure the rights to sell and support Prentice Log Loaders, a product from the USA. Since that time, many loaders have been sold in Australia and Prentice was recognised as a reliable and tough brand of forestry equipment. By this time Peter Randalls was becoming increasingly involved in the Management of the business and it was decided in 1991 that Peter would assume the role as Managing Director at the age of 30. In 1992 Randalls became the Rottne dealer for Australia and at around the same time began manufacturing rotating log grapples for forwarders and excavators as this type of log handling started to become more common. Starting out with only two models, the .36m2 and .50m2, this range has now grown to 6 models from .36m2 up to 2.0m2. Randalls grapple development has been largely driven by demand from South East Asia where approximately 80% of the company’s grapple production is exported. 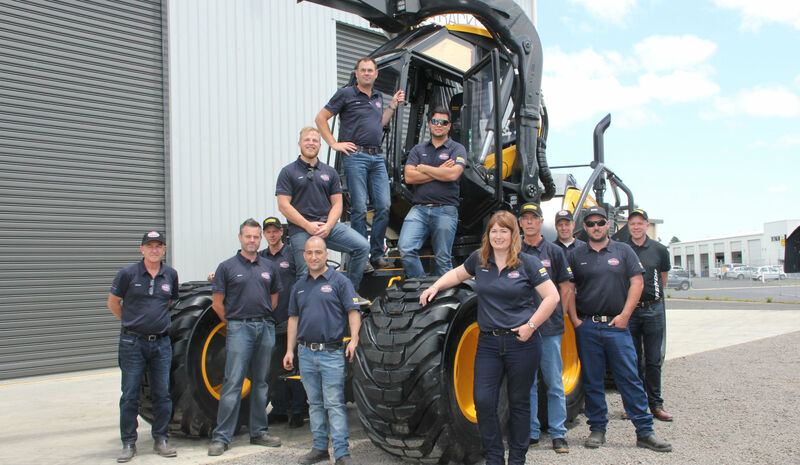 Since 2012, Randalls have undergone a vast transformation of their business with the addition of distribution and service for SP Harvesting Heads, SANY Excavators, CLARK Tracks and of course PONSSE in Australia. These brands have helped to propel the business forward and have led to the opening of additional branches in Western Australia, South Australia and Tasmania along with the appointment of service agents in Queensland, New South Wales and Tasmania.